Renault Duster receives 6,000 bookings in five days! The Renault Duster SUV has garnered a healthy 6,000 bookings within five days of its launch. The phenomenal response the Duster is receiving means that Renault will likely have bright and sunny days ahead in terms of sales and popularity. The Duster starts at an attractive Rs.7.19 lakh for the base petrol variant, Rs.7.99 lakh for the base diesel variant and Rs. 11.29 lakh for the top of the line 110 bhp diesel variant. The Duster has everything going for it apart from some issues that Renault will have to address. The Renault Duster diesel comes in two engine options – both 1.5 litre diesels, but with different power outputs and transmission. The Duster 85PS variant has a 1,461 cc common-rail diesel engine that puts out 84 bhp of power at 3,750 rpm and 200 Nm of torque at 1,900 rpm, mated to a five-speed manual transmission. The Duster 110PS variant on the other hand sports a 1,461 cc common-rail diesel engine that puts out 108 bhp of power at 3,900 rpm and 248 Nm of torque at 2,250 rpm. There are a total of six diesel variants, three with the 85 PS engine spec, and three with the 110 PS engine spec. Also read: Renault Duster vs. Maruti Ertiga: Which is the car for you? 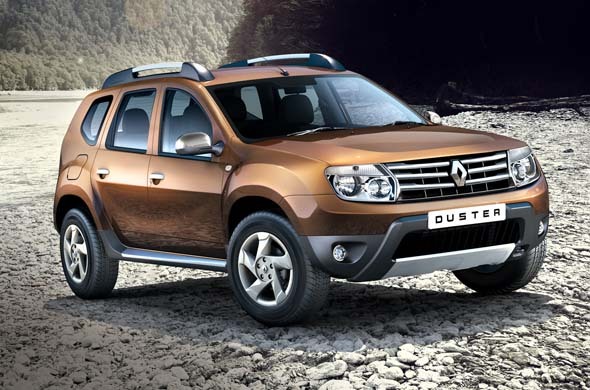 With such varied options, it is no wonder that the Duster is receiving a large number of bookings. What remains to be seen is how many more bookings Renault can rope in for the Duster and also whether the cars will get delivered to their owners in time.